Dhaka, Dec 13 (Just News): Land minister Shamsur Rahman Sherif’s son Shirhan Sherif Tomal was sent to jail on Wednesday for attacking journalists in Ruppur of Ishwardi upazila in Pabna on 29 November. 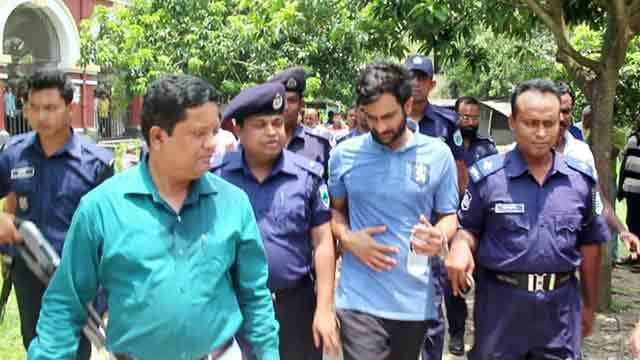 Pabna chief judicial magistrate judge Rezaul Karim sent Tomal - also a local leader of ruling Bangladesh Awami League’s (AL) youth wing Awami Juba League - to jail after he surrendered before it and sought bail in the case. Earlier on 29 November, Tomal, Juba League president of Ishwardi upazila unit and his accomplices allegedly have beaten four journalists while they were on duty in Ruppur.